Erin Bracco is the co-founder of Buddha Belly Kids Yoga and is excited to spread her love of yoga to her favorite people in the world: children. For seven years, she was a classroom teacher and holds a Bachelor of Science Degree in both Elementary Education and Special Education from Vanderbilt University. Her passion for child development is evident in both her teaching and yoga practice as she fosters newfound confidence and body awareness through the unique Buddha Belly curriculum. Erin thrives on helping little beings explore their world by giving them new tools to make sense of their surroundings. She believes there is no better medium than yoga to harness the positive, contagious energy of children. Erin is a Registered Children’s Yoga Teacher through Yoga Alliance. She has completed her 200hr teacher training at Zen Yoga Garage in Chicago, 95 hour kids teacher training through Rainbow Kids Yoga, and holds a certificate in partner yoga through Rainbow Partner Yoga. Additionally, she successfully completed the Mindful Fundamentals and Mindful Educator Essentials certifications through Mindful Schools. Meg Reckley is the co-founder of Buddha Belly Kids Yoga and is thrilled to combine her love of yoga with her passion for teaching children. She has been a classroom teacher, reading specialist, and literacy coach for over a decade. She holds a Bachelor of Arts Degree in Elementary Education from Roosevelt University Chicago and a Masters Degree in Reading from Concordia University. Nothing brings her more happiness than children’s literature and through this passion she uniquely incorporates storybooks into her yoga practice. It excites her to see the freedom of expression, creativity, and downright joy that yoga brings to children of all ages. 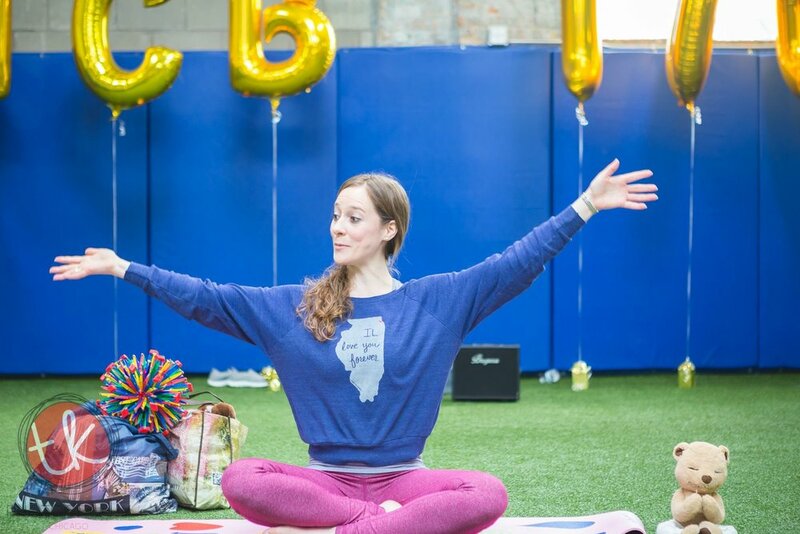 Meg is certified to teach yoga for children through Rainbow Kids Yoga and holds a certification in yoga with weights from Zen Yoga Garage in Chicago. Favorite quote: "Save the best for last.” - just like Savasana… and dessert!